A top celebrity stylist and former assistant to Rachel Zoe shares the inspirational story of his road to success while providing behind-the-scenes access to photo shoots and the countless red carpets and award shows where he has worked across the globe. 100,000 first printing. Fans know Brad Goreski as the fun-loving, bow-tie-wearing celebrity stylist. They have watched the reality star climb his way through the ranks of the fashion world, as he transformed himself from an assistant stylist into a full-fledged style icon. Along the way, they have experienced his near-fashion disasters and red-carpet victories. But what they might not know is that Brad's first clients were his Barbie dolls or that he grew up in a small town far removed from the glitz of Hollywood. His love of glamour, sparkles, and costume jewelry set him apart from the other boys at school. In spite of this, he embraced his differences and followed his passion. Landing an internship and later a job at Vogue helped the young Brad break into the competitive fashion world and eventually capture the hearts of millions as the quirky and endearing assistant on The Rachel Zoe Project. Now, for the first time ever, Brad reveals the moving story of his road to success, and offers a glimpse into his world today, filled with insider access to the countless red carpets and awards shows he has worked across the globe. Of course, Brad also shares his fashion advice, style tips, and tricks to help you look your best. 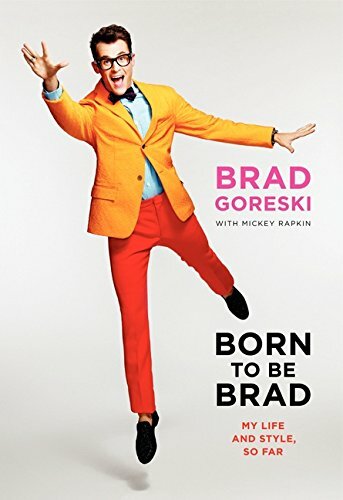 Part style guide, part memoir, and full of inspiration, Born to Be Brad will delight both loyal fans and newcomers alike.